Want to contribute to a future newsletter? Please submit your information to the HUPO Office at office@hupo.org. “Proteomics – Translating the Code of Life” – new documentary released! The completion of Human Genome Project was a major landmark achievement for the life sciences community. With genomics setting a foundation in the quest to uncover the mysteries of life and biology, what lies next? What are the prospects and challenges as we explore the post-genomic world? Proteins and proteomics are central to connect genomes with phenotypes and biological function. Proteomics provides a veritable foundation to address whole systems, and uses a broad unbiased approach to decipher post-genomic biology. This documentary portrays the journey of “Proteomics”, discusses its advancements, achievements and key issues that lay ahead. The first section of the documentary introduces the Post-genomic Era and establishes the necessity of proteomics. The second section focuses on development of various proteomic Technological Platforms and how persistent efforts of proteomics scientists have resulted in the First Draft of the Human Proteome. Next Generation Tools involving Trans-Proteomic Pipeline, SWATH-MS and Skyline have added to the arsenal of targeted proteomics. The proteomics community can contribute immensely to functional biology and offer innovative solutions in life sciences. Sustained and committed efforts from global proteomics communities like the Human Proteome Organization (HUPO) has helped proteomics establish an undeniable international presence. This has helped define the broader theme of research directions, thus, “Translating the Code of Life”. In the newly announced journal Impact Factor last week, we are pleased to see Clinical Proteomics received its impressive initial Impact Factor of 3.476. This puts Clinical Proteomics as one of nine proteomics journals that currently have official Impact Factors. Clinical Proteomics has special emphasis on promoting novel scientific research in the field of translational proteomics. This vision is in harmony with the theme of Human Proteome Organization (HUPO). For this reason, there were no surprises to see that Clinical Proteomics and HUPO have long shared members and journal board meetings have often taken place during the annual HUPO congresses. The Editor-in-chief of the Journal, Dr. Daniel Chan, is a founding member of HUPO and the recipient of the inaugural HUPO Translational proteomics Award. The editorial team includes many HUPO members and leaders, including Mark Baker, Christoph Borchers, Bruno Domon, Samir Hanash, Fuchu He, Stanley Hefta, Jacob Kagan, Jashua LaBaer, Gilbert Omenn, Young-Ki Paik, Akhilesh Pandey, Peipei Ping, Henry Rodriguez, Richard Semba, Michael Siu, Richard Smith, Mike Snyder, Sudhir Srivastava, Jennifer van Eyk, Marc Wilkins, Hui Zhang, and many others. Clinical Proteomics welcomes manuscript contributions by HUPO members and Human Proteome Project (HPP) contributors. The HPP is reaching out to clinical scientists or clinicians who are using or consider using proteomics for their research projects. HPP is supporting six (6) clinical scientists with a travel grant to attend the 2016 HUPO World Congress in Taipei, Taiwan that will take place from September 18-22, 2016. Travel grant recipients will receive USD $1,000 to offset travel and hotel costs in addition to complimentary congress registration. To learn more about applying for an HPP Clinical Scientist Travel Grant visit this page. C-HPP Newsletter no.5 now available! Click on the link above to see the C-HPP Newsletter (no.5). In this annual report you will see the various activities of the C-HPP consortium members, news on future meetings, and related publications. neXtProt has announced in their February 2016 release that its metrics for assigning proteins as protein evidence 1 (PE1) as part of the Human Proteome Project now align with those proposed by PeptideAtlas in September 2015. Entries whose protein(s) existence is based on evidence at the transcript level (PE2), homology (PE3) or a prediction (gene model; PE4) were previously upgraded to evidence at the protein level (PE1) if the entry had (i) 2 proteotypic peptides 7 or 8 amino acids in length or (ii) 1 peptide at least 9 aa coming from mass spectrometry experiments in neXtProt. This rule has been made more stringent so as to be in sync with the PeptideAtlas/HPP criteria for validating proteins using mass spectrometry data (i.e., at least 2 proteotypic peptides 9 aa in length or more which differ in at least 1 amino acid and which are not overlapping) are now required for the protein evidence to be upgraded to PE1. This video provides a glimpse at the fascinating world of proteomics research, the study of all proteins that form the basis for life. The video was produced for the lab of prof. dr. Albert Heck at Utrecht University and the Netherlands Proteomics Centre. 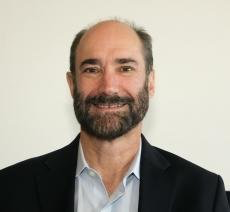 Snyder’s new book, “Genomics and Personalized Medicine,” serves as a primer for patients and doctors, touching on topics from tailored cancer therapy to wearable devices. Among the post-translational modifications, mass spectrometry (MS) analysis of protein glycosylation remains the most challenging due to the diversity in glycosylation. However, the glyco-savvy proteomic community continues to report major technical advances in all aspects of glycomics and glycoproteomics, from sample preparation, data acquisition to informatics associated with data analysis. It is particularly welcoming to see an increasing awareness and readiness to tackle analysis of intact N-glycopeptides instead of only defining the occupied N-glycosylation sites by the easier route of analyzing the de-N-glycosylated peptides. In general, the few key enabling steps in any MS-based glycoproteomic attempt to map the site-specific glycosylation pattern include 1) enrichment of the glycopeptides; 2) construction of glycan and glycosite-containing peptide library or database to allow identification of the intact glycopeptides by any of the currently available search algorithm; 3) generation of sufficiently good quality glycopeptide MS/MS data in the first place, which usually requires the presence of peptide core fragment ions, peptide core+HexNAc or the Y1 ion, and high resolution/accurate mass MS1 data of the glycopeptide precursors. The main innovation introduced by Hui Zhang’s group at Johns Hopkins University in a recent work published in the Jan 2016 issue of Nature Biotechnology is the way the N-glycan and N-glycosite containing peptide database was generated. Most other groups resorted to identifying as many of the PNGaseF-de-N-glycosylated peptides from analysis of a separate aliquot of the enriched glycopeptide fractions and use a publicly available glycan library such as the GlycomeDB, or the default library option available in commercial software such as Byonic. The authors took a different approach by modifying their long established hydrazide chemistry-based glycopeptide-specific capture method. 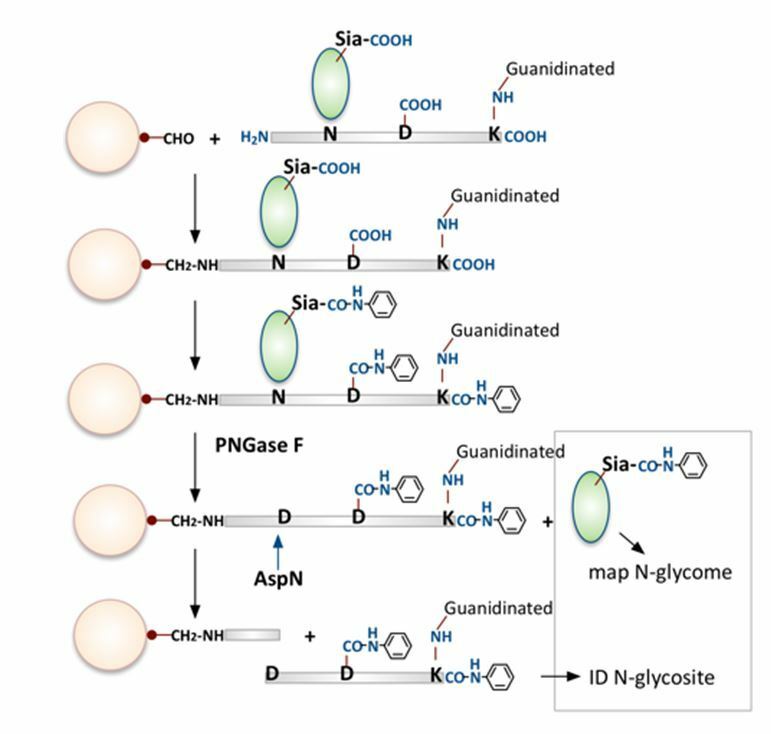 Solid phase immobilization was accomplished non-selectively instead by conjugation to aldehyde-functionalized solid support via reaction with the N-termini of all tryptic peptides and, after de-N-glycosylation by PNGase F, Asp-N was used to selectively cleave and release only glycosite-containing peptides with Asp at at the initially N-glycosylated Asn site. Thus only peptides carrying N-glycosites will be selectively recovered and identified. This is a very clever approach although many chemistry modification steps are involved including modifying sequentially the e-amino group of Lys and free carboxylic groups of C-termini, Asp, Glu and sialic acids. The result is quite impressive and the authors showed that it led to many more N-glycosite-containing peptides identified. The authors also went on to profile the released glycans in order to construct their own sample-specific glycan library. This was performed by both MALDI- and LC-MS and facilitated by the sialic acids now being modified by aniline. For actual analysis of the intact glycopeptides, HILIC enriched glycopeptides were subjected to LC-HCD MS/MS on a Q-Exactive instrument and the resulting spectra searched against the custom derived database using the precursor mass-matching option of their in-house developed GPQuest software. With filtering based on the presence of peptide+HexNAc and/or peptide ions, as well as ≥7 observed b and y ions (1% FDR), this resulted in positive assignment of 4,562 oxonium ion-containing spectra to 1,562 unique glycopeptides containing 518 glycosites and 81 glycans from OVCAR-3 cells. Key steps in solid phase extraction of N-glycans and N-glycosite containing peptides. Comprehensive analysis of protein glycosylation by solid-phase extraction of N-linked glycans and glycosite-containing peptides (2016) Sun S, Shah P, Eshghi ST, Yang W, Trikannad N, Yang S, Chen L, Aiyetan P, Hoti N, Zhang Z, Chan DW and Zhang H. Nat Biotechnol. 34, 84-88. Wishing you all Merry Christmas and Happy New Year-2016! 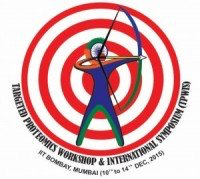 It brings us great pleasure to announce that the Targeted Proteomics Workshop and International Symposium (TPWIS-2015) followed by GIAN proteomics course ended on a high note. Overall 7 parallel events were conducted at IIT Bombay during 10th – 19th Dec 2015 for the unique set of participants in each event. We take this opportunity to thank all the distinguished speakers and invited guests for providing their valuable perspectives to the audience. 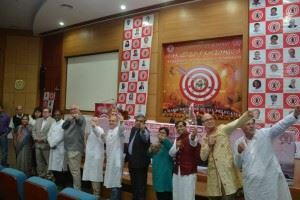 This ambitious effort of organising dedicated workshops and symposium heavily benefitted large numbers of participants. We wish to extend our appreciation to all delegates for their active participation in this multi-faceted event. We are humbled by the support you all have provided us and made it a very stimulating, enjoyable and one of the very unique international events of 2015. We hope that TPWIS-2015 has been as memorable to you, as it has been for us. The attached “Reflections” booklet (click here: TPWIS-2015_Reflections) is a memoir of the TPWIS-2015 and we wish that these remembrances and experience would last you a lifetime.